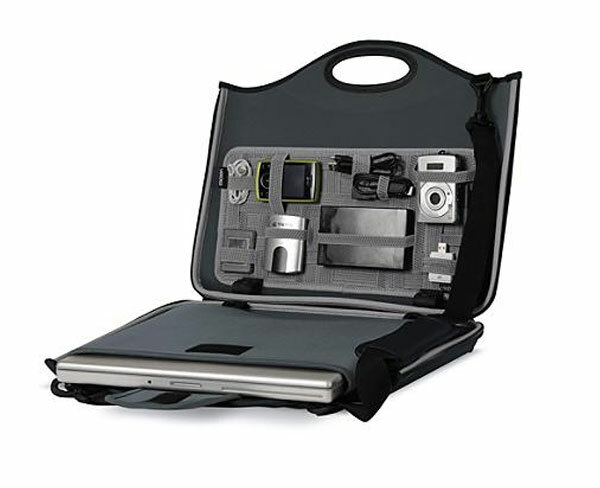 If your looking for the ultimate gadget case to carry all your devices that even James Bond would be jealous of then this laptop organiser case could answer your needs. This airport friendly case constructed from neoprene has a removable laptop case (takes upto a 15″ laptop), shoulder strap and plenty of space to transport your gadgets from place to place. It uses a system of elastic straps to securely hold your gadgets in place, including your phones, iPods ®, cameras, cables, and other digital devices.